Perched upon 20 well-manicured, gated acres lies this Tuscan inspired home inclusive of resort style, modern day amenities. Unsurpassed construction details and craftsmanship for the most discerning eye. This 6 bedroom estate property epitomizes a home comfortable for family gatherings, sophisticated for elegant entertaining and open to endless recreational opportunities. Amenities include: private gated entry, winding driveway, beautiful water views, guest house, outdoor living space, custom pool, cabana, extensive woodworking, reclaimed wood, hardwood floors, vaulted ceilings, large stone fireplace, gourmet kitchen, large master suite, etc. 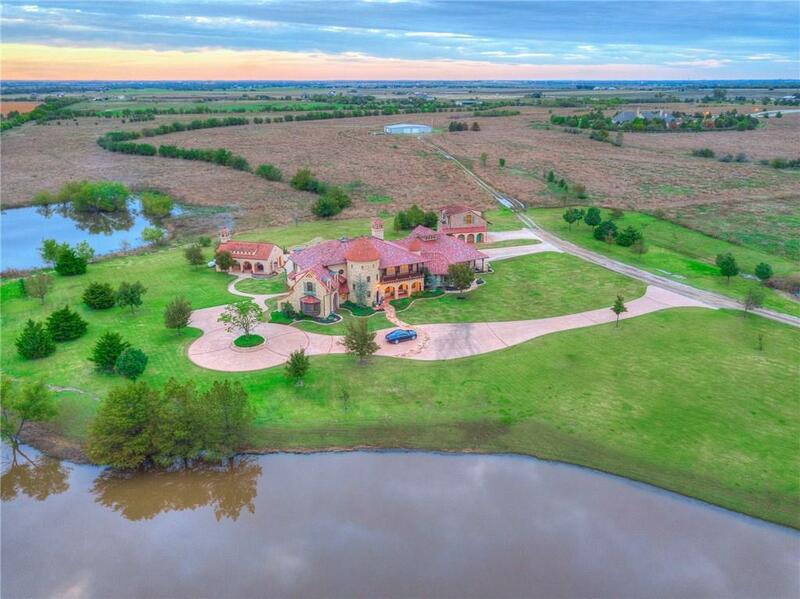 Over $3,000,000 invested in this custom estate. Ideal for multigenerational households and equipped to accommodate every need, you can live the life of ease and grace, conduct business, host guests, and entertain groups both intimate and grand all from the privacy and comfort of your home. Schedule your private tour now.